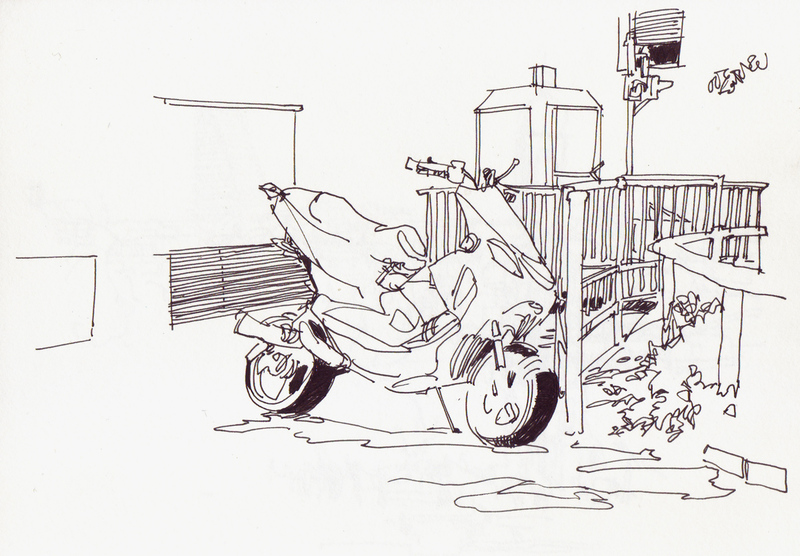 Same strategy of the last few weeks: bike around, sit at an almost random place, sketch something. Lazy but better than nothing. Javier, your freehand sketches are summery and light, which pen do you generally use for this kind of sketches? gefällt mir sehr gut. vorallem die gitterstrukturen finde ich sehr cool. Danke für eure Kommentare. Brinda, my favorite fineliner is the Pilot V-Ball Liquid Ink 0.5. The ink flow is perfect, no matter how fast you draw, and the tip holds well until the pen runs out of ink. It's not water resistant though.